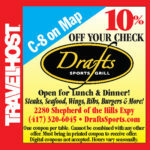 Show this coupon and save at Draft’s Sports Grill in Branson! Tap coupon to enlarge. 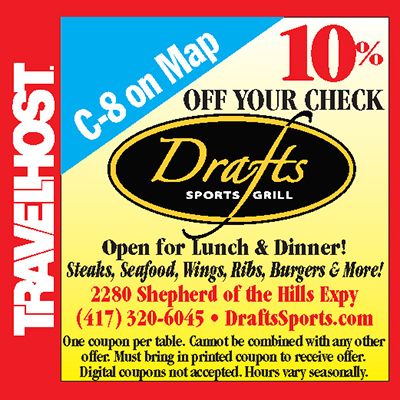 Drafts Sports Bar & Grill is truly unique among Branson, MO restaurants. Ideally located on the main road, where you turn into at the entrance of the resort, Drafts brings together a brew pub, gourmet burgers and an ideal sport viewing atmosphere. Our innovative menu features a variety of creatively designed burgers, steaks, chicken entrees, ribs, flatbreads and appetizer selections complemented by an extensive selection of draft and bottled beers, specialty microbrews, mature wines and a wide array of cocktails. Unwind in a modern sports bar complete with high-definition flat screen televisions broadcasting local, national and worldwide sporting events. Lunch and dinner selections exceed expectations with a wide variety of menu options to choose from. 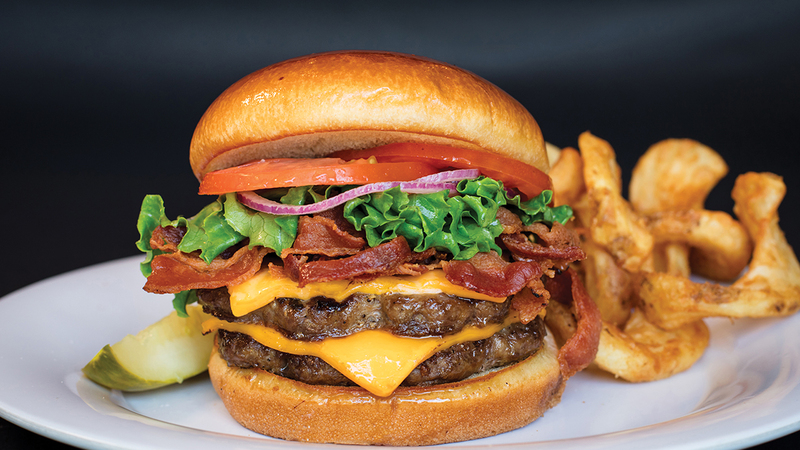 The signature, palm-stretching burgers are sure to impress even the biggest burger fanatic. Save room to indulge in tasteful desserts including a decadent slice of Triple Layer Turtle Chocolate Cake. Come for the food, stay for the atmosphere!